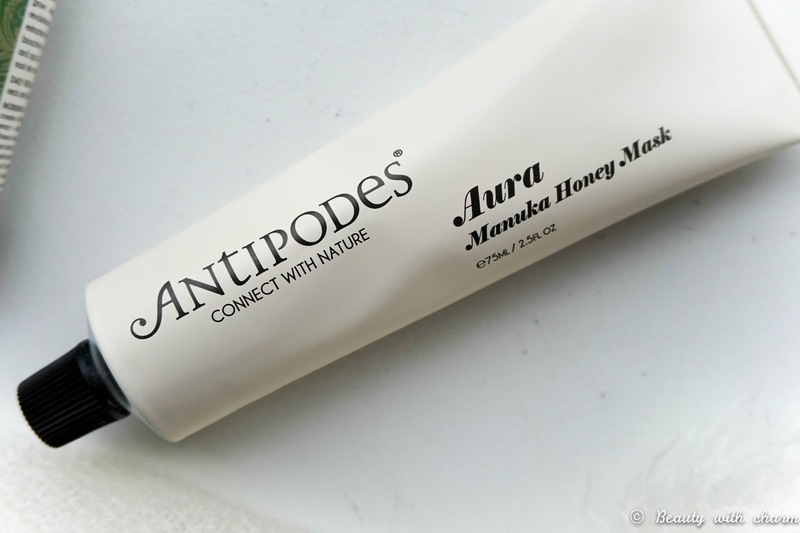 About a month ago I was introduced to Antipodes which is a brand that has been making headlines around the beauty world for all the right reasons. 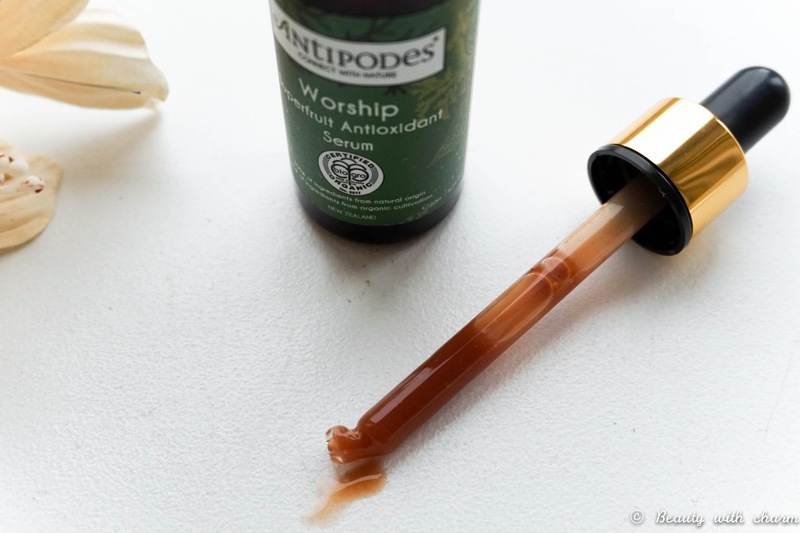 Antipodes is a science based company which has been created in New Zealand, so it's very results orientated. Not only that but it's been certified as an organic & natural skincare brand too, which is amazing. If a brand can create effective products using raw plant ingredients with recyclable packaging & the lightest of carbon footprints, then it automatically gets a thumbs up from me. I love that the brand are constantly aspired by the natural beauty of their homeland whilst making use of the plants surrounding them, it's truly unique and it makes me feel like I am getting a taste of New Zealand even though I have never visited. 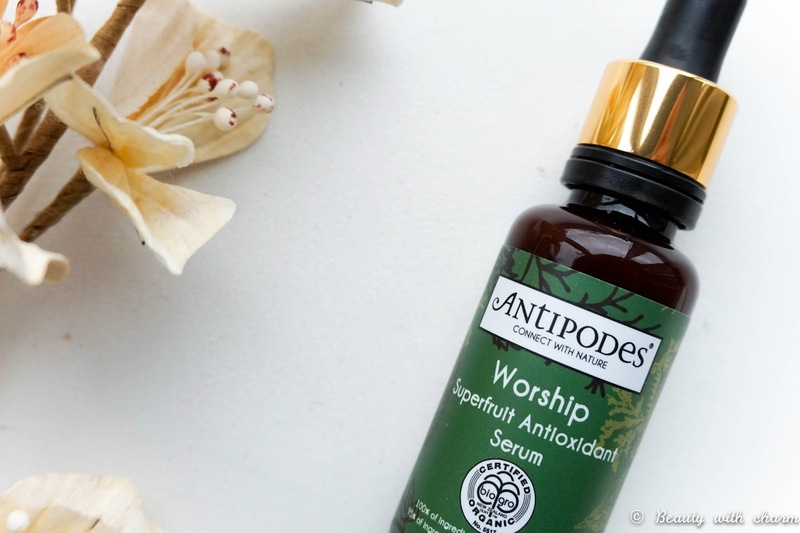 I was kindly sent one of the brand's latest product releases, the Worship Superfruit Antioxidant Serum* along with one of their cult products, the Aura Manuka Honey Mask*. Now that I have been trying them out as part of my skincare routine for almost a month, I'm ready to tell you all about these amazing products. First of all, I love the unique floral packaging, which is very green and you can pretty much tell straight away that this is going to be a natural & organic brand. Some of the main ingredients that they promote well within their brand are premium plant oils along with skin enhancing ingredients, so immediately when I hear the likes of avocado oil or manuka honey I just know that the products will be beneficial to my skin. 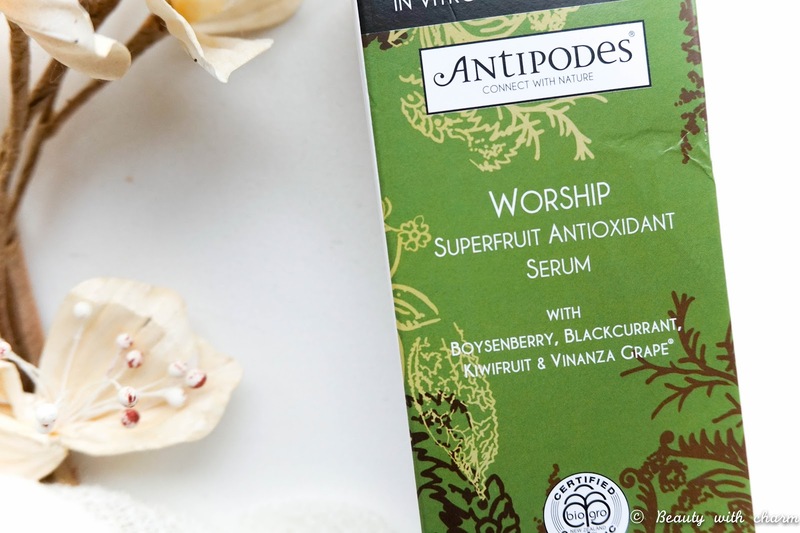 First up let's talk about the Antipodes Worship Superfruit Antioxidant Serum* which is the brand's latest release and is priced at £33.99 but websites like Feel Unique will no doubt have deals on it regularly (it actually has 10% off at this very moment). This serum is water based which means it feels super light on the skin but at the same time it contains a high concentration of plant active ingredients to reach the deeper layers of our skin. As soon as I opened this I was immediately hit by a fruity scent which I just love, but nothing too over powering since it's all very natural. I have to say being used to richer serums or even my oil options at night, I was a bit surprised by its watery texture but I decided to stick with it as my day time serum. 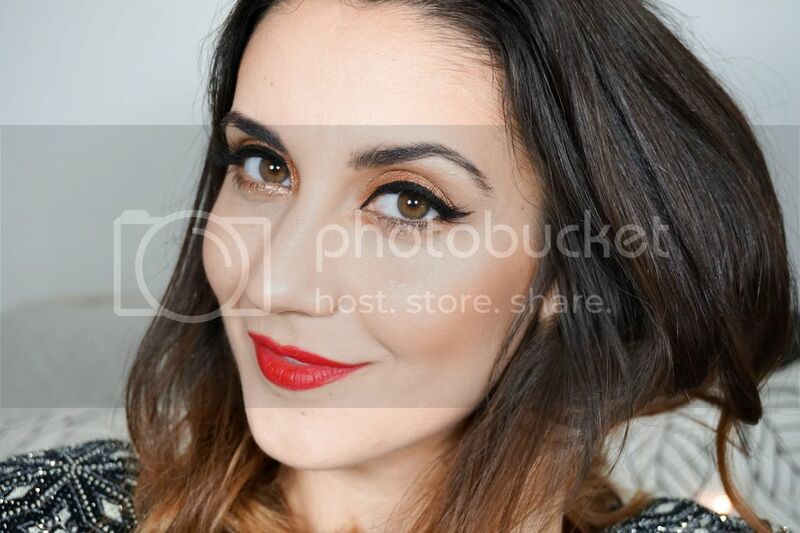 It sinks into the skin immediately and can be hard to blend out evenly (especially that I have dehydrated skin which absorbs products instantly). When I first started using it I was using between 6-7 drops, which is pretty much a full pipette but now I have found a way to make it work for me by mixing 2-3 drops instead with a pump of my usual day serum. This way I am still getting that richer texture that my skin craves whilst also adding the extra benefits of this water based serum. This makes my skin feel very refreshed and the antioxidant benefits area sure way to boost the radiance levels in my complexion. 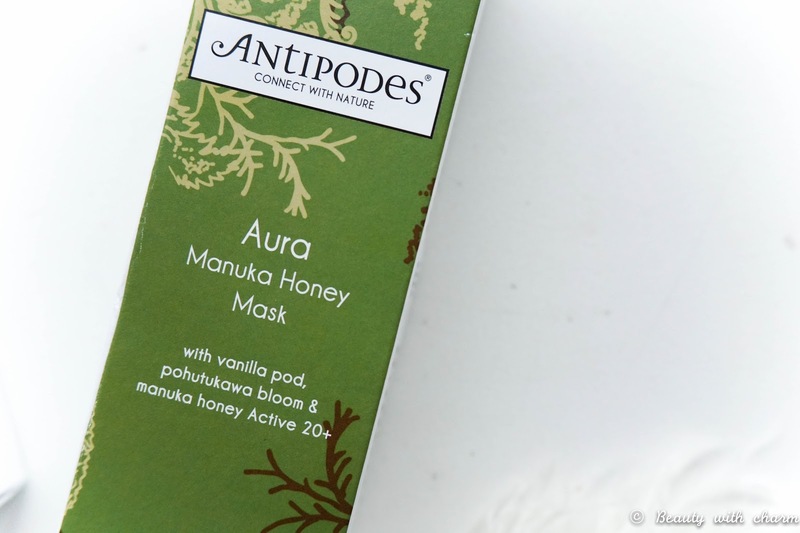 Last up is the hyped up Antipodes Aura Manuka Honey Mask* which is priced at £22.99 but you guessed it Feel Unique has an offer of 10% off on this too. This mask is a real beauty gem and I can definitely understand why everyone raves about it. 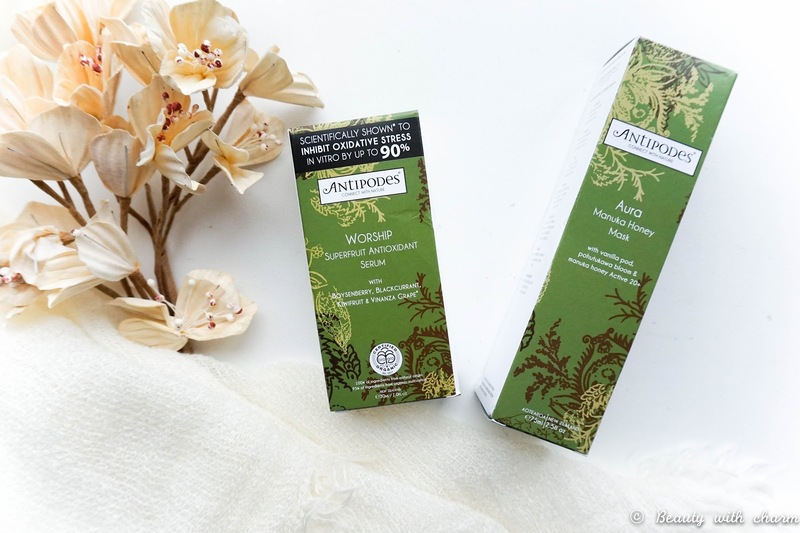 When it comes to this skincare department I thought I pretty much had all I needed with my mud & hydrating options, but I was definitely missing out because this mask is something different altogether. 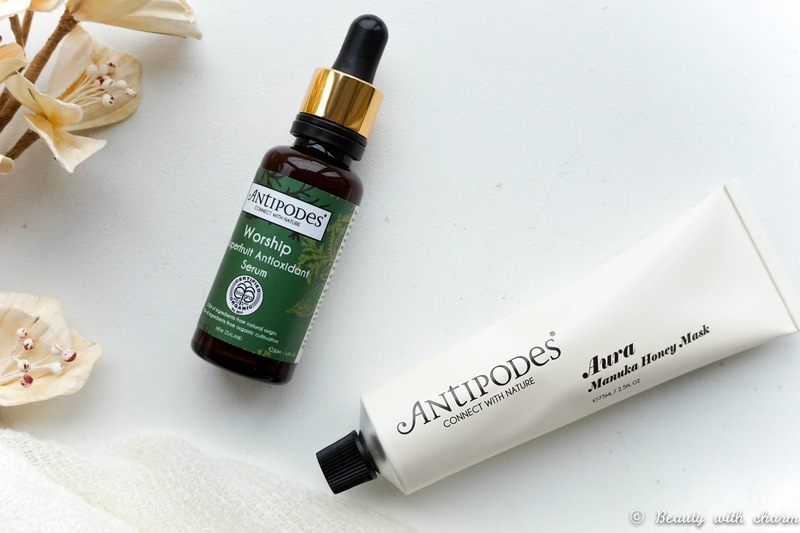 The brand describe it as both deep cleansing & intensely hydrating with anti-oxidant benefits, so it really is a do-it-all kind of skin treatment. I love using this once a week personally but it's suggested to be used twice a week or more if needed. I find that if I've got any sort of breakouts happening (especially around that time of the month) this is a life saver. It calms my skin down completely and helps get rid of any pesky spots. Not only that but it leaves my skin feeling smooth & looking bright after just 15 mins. Oh and did I mention that once again it smells amazing, like good enough to eat (but don't worry I didn't).